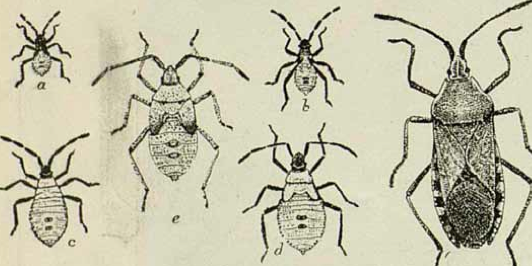 Detail from "The Squash Bug and its Story: A Repulsive Pest,” American Gardening (July 30, 1904). From American Periodicals from the Center for Research Libraries. In 2010, CRL was awarded a two-year Institute of Museum and Library Services (IMLS) National Leadership program grant to establish a model for cooperative, coordinated management of physical collections in two major fields of research: Agriculture and Law. With this support, CRL is devising a sustainable and scalable plan for cooperative management of legacy print materials at the local, state, regional, and national levels. In the field of agriculture, CRL is collaborating with the United States Agricultural Information Network (USAIN) to identify archiving priorities, recruit partners, and set standards. USAIN has a long and successful history of working on a national level to preserve and provide access to American agricultural collections. CRL has also begun working with the Agriculture Network Information Center (AgNIC) to increase support for digitization of collections and to ensure that the source material for the digitization is preserved. AgNIC is a leader in implementing national standards for the digitization of local agriculture collections. It coordinates the education and training of its members to digitize in efficient, cost-effective ways. CRL’s partnership with AgNIC will ensure that this material is also preserved according to national standards. Assemble a Supporting Information Base. Provide holdings information adequate for archives “validation” in a centralized databases and web resource. Document Baseline Archiving Conditions and Services. Record and make available information on the conditions under which the source materials for USAIN microfilming and digitization programs are archived, and the levels of access provided by the archiving institutions. Create Consensus on Expanding the Archives and Services. Bring together representatives of the major U.S. research libraries to establish a plan and five-year timetable for expanding the current print-archiving content and services. Develop and Implement Expanded Archiving Agreements. Formalize the commitments of the participating institutions to provide and support services and activities. Since January 2011, CRL has been working with California Digital Libraries (CDL) to develop an information base called PAPR (Print Archives Preservation Registry) to aggregate and expose information about print archives programs, related organizations, and holdings being archived. PAPR also includes a data-analysis system for comparing the holdings of libraries or repositories and reporting functions for downloading lists of titles, holdings, and associated information. To date, more than 7,500 records have been added to PAPR. These include records from the Core Historical Literature of Agriculture project as well as CRL’s JSTOR archives and Western Regional Storage Trust (WEST), a distributed retrospective print journal repository program. PAPR’s first phase of development ended in June 2012 and the system will go live in July. CRL has begun planning for the next major phase of the registry’s development and the addition of more records. Between January and April 2012, CRL project staff made site visits to the University of Wisconsin, Texas A&M, Penn State, and North Carolina State to view agriculture holdings and to discuss digitization and preservation projects by those universities. In response to followup discussions, a newly developed USAIN/AgNIC committee will undertake a survey of past digitization and preservation efforts by its members on the material being addressed by this project. This survey will set the groundwork for developing further efforts under the project guidelines. In April 2012, CRL attended the 13th Biennial USAIN conference, the major forum for this group’s discussions of topics related to food and agriculture research and education. CRL met with the USAIN preservation committee and gave an overview of the project to the overall membership during the regularly scheduled preservation update session. After these meetings, a subcommittee within the USAIN preservation committee was formed to work with CRL on this project. Thirty-five people then volunteered to participate in the subcommittee. CRL has submitted a draft of a formal charge for this group to the chair. Work on this outcome is expected to begin in fall 2012. For more information, please contact Amy Wood or visit the project web page: http://www.crl.edu/archiving-preservation/print-archives/imls.